Duckie, the “Purveyors of Working Class Entertainment”, will feel a million miles from the hoi polloi when they perform at Latitude this year. It’s a festival where prosecco and a diverse line-up reign: now in its 11th year (it feels longer!) Latitude’s comedy cabaret lineup for 2016 has been announced as a typically varied affair of US and UK big-wigs, as well as left-field emergent names. Cheeky lil’ Russell Howard headlines on the Friday. Josh Widdicome, Reggie Watts, Paul Merton and Al Murray complete the line-up at the top end. Why go: Picturesque climes and all manner of live entertainment, from dance to theatre, and music from chin-stroke alternative to guilty pleasure. Back in the big smoke, Nero and nu-disco hero Armand Van Helden have just been announced to play Clapham Common’s SW4, and similar We Are FSTVL returns for two days this May. Get there on a rickety bus from Upminster station. And Park Life returns in June with a diverse range of Indie and dance, though the latter sells more tickets. Why go: frenetic all-day dancing. It’s the second year for the Disclosure-curated WILD LIFE festival, which takes place on the tarmac of Brighton City Airport. What is it with day festivals and tough locations? Either way, a buzz-y line-up makes it worth the trip. Flume, Four Tet, De La Soul, EZ and Stormzy will light this one up in early June. Why go: see one of the UK’s newest festivals evolve. Heritage-feel home counties fest Standon Calling has announced its theme: Legend of the Lost Seas, which (like Bestival‘s ‘Future’) will dictate the look and feel of the festival on Saturday. The only festival in the UK with a swimming pool has also extended its family offering for 2016, with an entertaining range of workshops including street dance, puppetry and DJing. Why go: Intimate setting, absolutely ginormous party. Thom Yorke, in case you hadn’t heard, is “fucked off” this month, after the tickets to Radiohead’s relatively sparse set of spring tour dates sold out in 20 minutes. (Oh, the hardships faced by the popular!) Without an awful lot pencilled in the diary, then, Yorke and his band of less-than-merry men are surely well-poised for an appearance at a festival or two this summer. There’s an album supposedly nearing – which perhaps explains the sudden break of Radiohead-silence. But with Adele now booked for Glasto, it looks like 2016 will be replete with more Radiohead ‘surprise guest’ slots. Get in on the action: follow the beard-stroking, unsurprised masses when the news breaks on Twitter. Why go: Why ask?! It’s Glasto, baby! Things are looking up for the Isle of Wight Festival, which seems to be pulling through after an anxious few months. Pinch yourself, for it is 2016: joining Queen and Stereophonics on the bill are The Who, announced alongside an appearance with former Verve frontman Richard Ashcroft. ‘Bitter-sweet’ moments are predicted for dads (and grandads) the festival over. This writer can’t wait. One of the most peculiar festival stories has just befallen Download, whose headliners Down were forced to pull out after their drummer Phil Anselmo (of Pantera fame) was spotted giving a Nazi salute on stage. “You damned well know me better than this drunken incident could ever describe,” his apology note read, confusingly. Elsewhere, summer plans are trundling along nicely. We’re keeping our eyes on Green Man, which has been quietly inking in a varied lineup – featuring the likes of Warpaint and Kamasi Washington. The latter’s rendition of orchestral jazz hip-hop on a stage in the Brecon Beacons will surely have to be heard to be believed. Why go: Greenman: rolling hills full of folklorean delight; Isle of Wight: throwback central; Download: friendly moshing with the circuit’s biggest names. FIVE. Kelis at Standon Calling – with a distracting new cookbook career, catch her while you can FOUR. 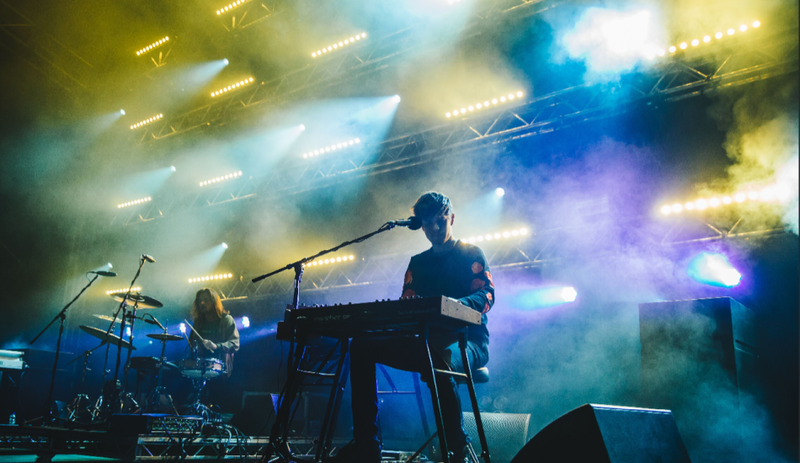 Chvrches at Latitude and Reading & Leeds – worship at the altar of classy electro pop THREE. Grimes at Latitude – with any luck this dirty poprock fairy imp will only become more popular in 2016, so catch her while those mosh pits are still (just about) habitable TWO. Petite Meller at Bestival and Wireless – her progress up the pop charts has been patchy (I’m being kind), but Baby Love is one hell of a summer anthem ONE. Sia at V Festival – that phenomenal voice and her admirable refusal to show her face (she doesn’t want to be a celebrity – who can blame her) make this one to camp out for. Honorable mention: Jess Glynne isn’t exciting, but she is flipping everywhere this summer. Wait and catch her at a late festival for an Eddie Izzard-style display of sweaty endurance.